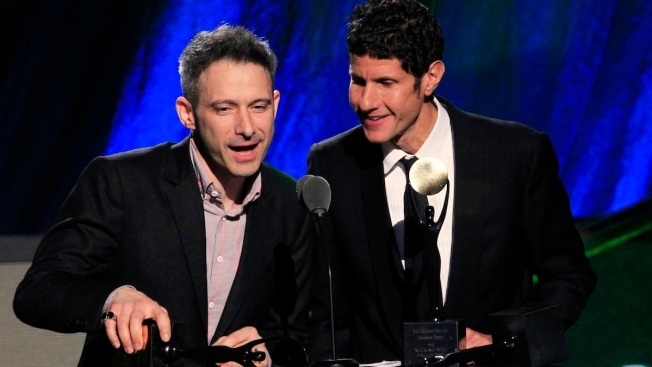 Adam Horovitz, left, and Mike Diamond of the Beastie Boys accept induction into the Rock and Roll Hall of Fame Saturday, April 14, 2012, in Cleveland. The Beastie Boys are firing back after an Oakland toy company sued them over a video parody of their song "Girls." The two surviving members of the rap trio filed a lawsuit of their own Tuesday in Oakland federal court claiming toy company GoldieBlox unfairly used the popular song as a jingle to sell its products. GoldieBlox filed the first lawsuit last month seeking a court order allowing it to use the online video parody. The video shows young girls singing about engineering. 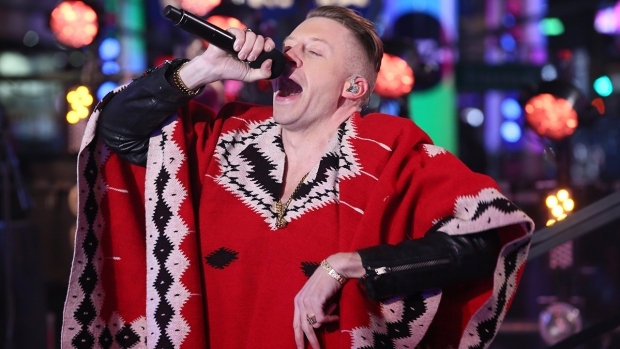 The company said it filed the lawsuit after the band threatened it with litigation over the parody. GoldieBlox claims the parody wasn't used to sell its product and that it has done nothing illegal. On Nov. 26, Beastie Boys' members Michael Diamond (Mike D) and Adam Horovitz (Ad-Rock) penned an open letter to the startup company stating their side of the dispute. As creative as it is, make no mistake, your video is an advertisement that is designed to sell a product, and long ago, we made a conscious decision not to permit our music and/or name to be used in product ads. When we tried to simply ask how and why our song “Girls” had been used in your ad without our permission, YOU sued US." The Beastie Boys have previously sued numerous companies, including Monster Energy Drinks, over copyright infringements.